shadow likes his fans. vore. HD Wallpaper and background images in the shadow el erizo club tagged: shadow the hedgehog vore. me: HAY! HAY HAY HAY! I TOLD YOU NOT TO EAT MEH! 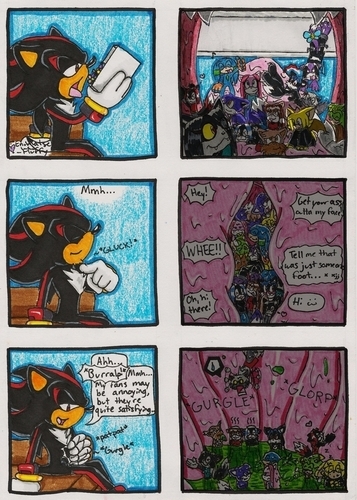 shadow: soz, dude, i was hungry. me: DUDE!? DUDE!!!??? YOUR THE DUDE!!!!!!! shadow:D is for dumbass, U is for urine (pee), E is for einstine! freak out time now AHHHHHHHHH! Since when do I eat people? What the hell is this?!?!?! And could you possibly post this in my new club im trying to get it going?